Charli is a St. Louis native who returned home in 2009 to serve as a middle school English educator through Teach For America after completing her undergraduate studies at Prairie View A&M University. In 2011, Charli co-founded an educational access venture called inspireSTL. During Charli’s tenure, each senior class of inspireSTL Scholars celebrated 100% high school graduation and four-year college acceptance rates. inspireSTL has inducted seven classes of scholars, and it is on track to serve approximately 400 scholars annually. Charli went on to serve as an Executive-in-Residence at the United Way with a focus on education innovation. 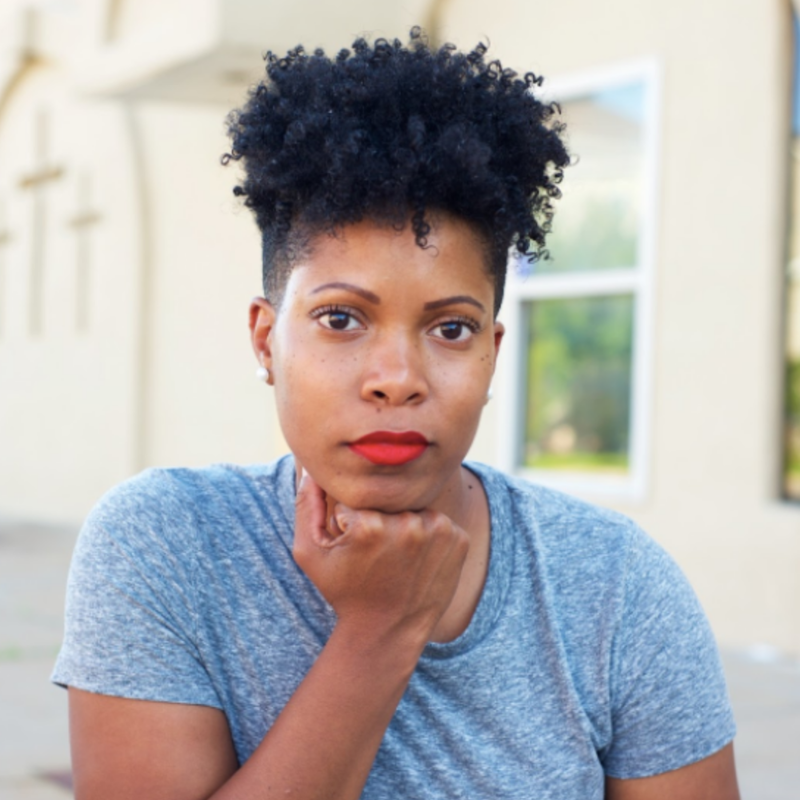 Prior to WEPOWER, she served as the Interim Executive Director/Lead Catalyst of Forward Through Ferguson. Early in the Academy, we embarked on a tour facilitated by social justice legends Eugene Redmond and Reginald Petty of historic places in East St. Louis. More recently, Power-Builders reviewed East St. Louis education data during an Academy session. We will have the opportunity to vote for many important positions like state and U.S. Senators. In St. Louis city, where our Power-Builders are running GOTV canvasses and phone banks, the ballot includes candidates for the district’s elected school board. Alums of the Academy, Monti and Elise, have continued the work of the campaign as field organizers. They have led our wonderful volunteers to phone-bank and canvass to get out the vote (GOTV) in North St. Louis City wards 3, 4 and 22 where there is a history of low voter turnout. To stay grounded in hope, I have to feel my power even in low moments, and then put it to work with others in strategic, intentional, accountable, and revolutionary ways. I’ve developed some strategies for doing that, which I share in hope that you’ll join me. During these last months our team has been busy dreaming, challenging, and fortifying our values, our strategies, and our definition of impact. Our first pilot program hit its half-point mark, and we are cultivating a sense of energy and purpose with our regional partners and our inaugural cohort of power-builders. On Saturday afternoon leaders in education reform joined us to share their varied experiences and perspectives of St. Louis' public education systems. With great excitement, I'm writing to you having transitioned from interim Executive Director of Forward Through Ferguson into serving as full-time CEO & founder of WEPOWER. Before I transitioned to full time at WEPOWER, I had the great pleasure of designing and launching a three-year #STL2039 Action Plan. Take a look! Engage. This important work is not possible without your action, belief, and radical collaboration! Our Spring 2018 Education Power Building Academy launched this weekend! Here are a few snapshots from the kick-off.